Wat is dit voor site? Wij zoeken de goedkoopste boeken op internet. Big Little Book of Jewish Wit & Wisdomvonden we het goedkoopst op Bol.com voor €5.99. We hebben gezocht in nieuwe en tweedehands boeken. Rechtsonderaan de pagina kan je het boek direct bestellen	via Bol	.com. This small, chunky volume presents the witty, wonderful, deadpan and droll insight of the Jewish culture. Chapters on Wisdom, Mitzvahs, Dybbuks, Proverbs, Jokes, Curses, Conventions, Mores (ethics), Love & Marriage, Men & Women, Children & Family provide reflections gleaned from a wealth of ancient, traditional and modern sources. The range of wise observations on the ways of the world, snappy one-liners, stories and expressions captures the spirit of the Jews throughout the centuries. 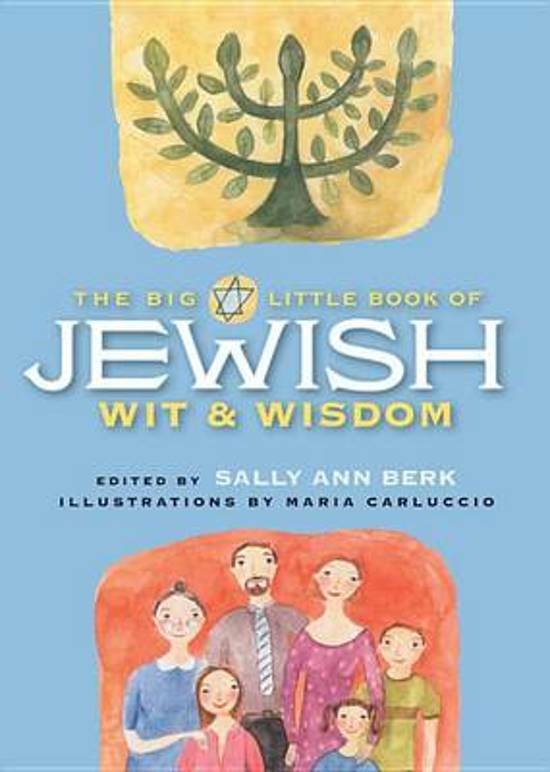 Illustrated with sixty watercolor paintings, The Big Little Book of Jewish Wit & Wisdom will delight and engage even the toughest Jewish mother.